Newcastle United manager Rafa Benitez admitted that he was surprised by defender Fabian Schär's opening goal against Cardiff City on Saturday, following the Swiss' incredible solo effort to break the deadlock in the first half. Schär scored a second after half time thanks to his quick reactions from a deflected corner, before Ayoze Pérez put the icing on the cake in extra time following a powerful run and unselfish pass from Salomón Rondón. After the match, manager Benitez lauded his goalscoring centre back and Saturday's man of the match before adding their recent win over Blackburn Rovers in the FA Cup breathed new life into the Magpies this weekend. "Not the first one," Benitez said when asked if he expected Schär to score, quoted by Sky Sports. "You can expect him to score maybe from a corner but he's a player with quality and he was going forward. It was a great goal. "We played extra-time in the FA Cup and scored four goals - that gave everyone confidence today," he added. "We could see from the first minute our team wanted to get three points against a rival. We did really well. Everyone has to be pleased. 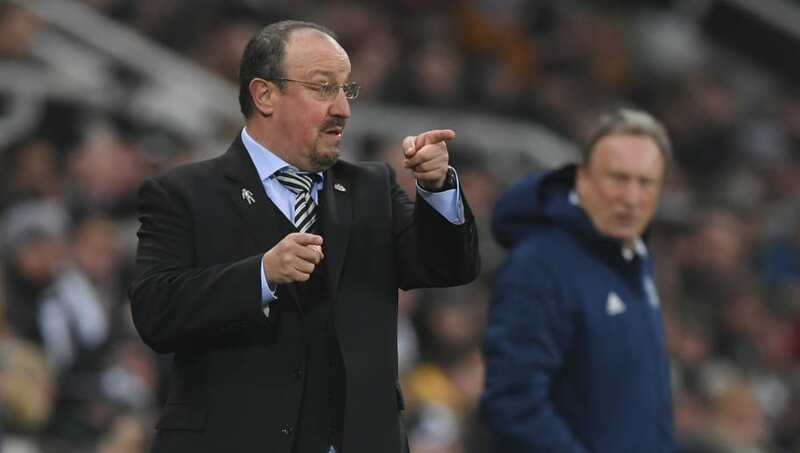 Newcastle United are now two points clear from the relegation zone and have been replaced in the bottom three by Cardiff City, while both Huddersfield Town and Fulham can move closer to safety if they upset the odds against Manchester City and Tottenham respectively on Sunday.